Discussion in 'Transformers Toy Discussion' started by KA, Aug 30, 2010.
currently hedging on seapray so deciding whether to wait or just get the current version. ...hang on, seapray's is post rotf/hftd right? 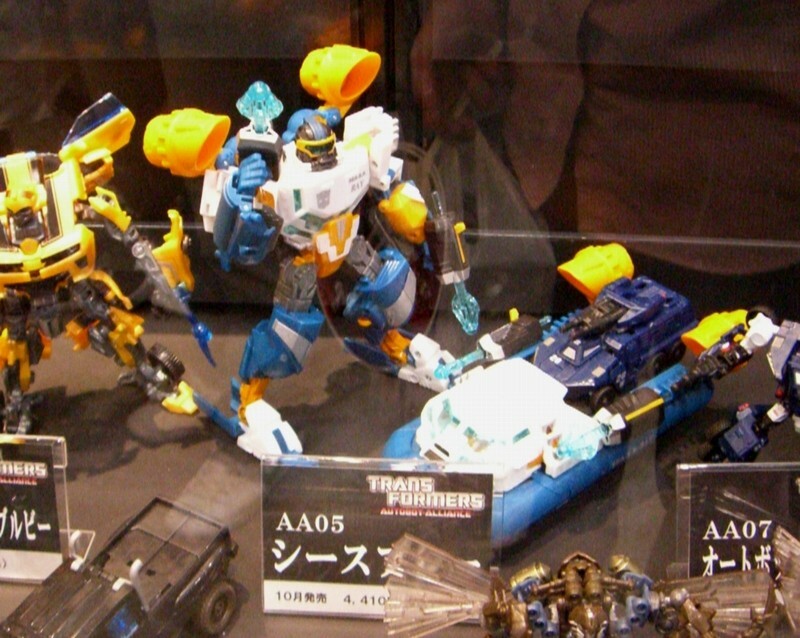 Seaspray's still in the movie line, even in Japan. He's yellow instead of gold, but otherwise, same deco and colour layouts. Seaspray is a movie figure, so it shouldn't end up as Henkei per se, but there is the Takara version that's a little different. I really hope there's news about the future of Henkei before the bulk of Generations start, as in: Grapple, Scourge, Jazz, etc. I'm hoping we get news on Henkei before Blurr comes out because I'm curious how Takara's version could look (let alone the others, of course). didnt know takara had their own version, is it out? Pardon me for posting it here. I just registered and I am still on the looking as to where I should post my queries. After the reporting of KO Henkei Skywarp, are there other KO henkei's that was sighted as well. I'm from the Philippines and a sighting of a (KO??) Henkei Ghost Starscream hit the shelves here. Can some of our TF Guru shed some light here. It's retailing here for $39.87 a piece. Skywarp is retailing at $33.25. I believe Takara-Tomy has said something to the effect of they'll release some of Generations in Japan or something. Forget where they said that but I think it's in their plans. Takara's Seaspray is just massively better in terms of the colours used IMO. Loving the bright yellow instead of the dull gold. I actually prefer the gold myself, but I can see why most of you would prefer the yellow. Still, I like the real world feel the gold gives it, which goes with the more realistic feel of the character. I agree totally here. I hate to sound like a cheapskate, but I like the fact that Seaspray only cost me $20. This one's not worth enough to import for me. They'll tell you about henkei versions after you buy US versions. And then the arm canon version will come along with a Japanese version that comes with the axe. We may not hear about a Henkei line until after the 3rd movie line. As Takara is currently running Animated, which will probably be all done by the end of the year. Unless Takara gets to the Generations figures early next year and has the line run in tangent with the Movie line (which would come next Spring/Summer). The yellow paint isn't enough for me to warrant the higher price or effort in tracking it down now that the Hasbro version is appearing at UK retail. That would make me sad if there's no Henkei until 2011/12...but I admit I hadn't thought of this before, how Animated could impact things. Takara's Animated line seems to be coming out pretty fast, though. They're releasing like, what, two year's worth of Hasbro toys in the span of six months? Their movie line is also running concurrently, and lagging only slightly behind Hasbro. I'm hoping we'll hear news about Henkei/Generations by the end of this year.